I am so excited at the participation this challenge is bringing! I thought I’d answer some common questions I keep seeing and also give you what you can do in preparation for Monday! Q: I signed up to get your emails. What else do I need to do to participate? Q: I don’t have a blog. Can I still participate? A: YES! 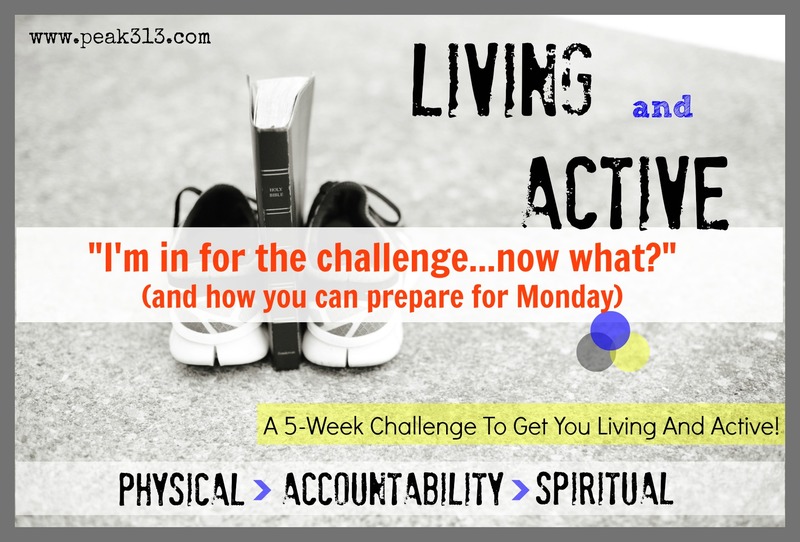 If you want to check in with us, you can do that by commenting below the weekly accountability blog post. Q: I am pregnant. Can I still participate? Q: I am recovering from an injury or illness. Is this for me? A: Sure is! We need to learn how to live a LIFE of health admist roadblocks and detours. You can do the exercises at a modified level or dial back and do less time. Q: Is there a study that goes along with this? A: No study, per se, but a weekly verse to memorize and a weekly devotional. Q: I’m scared that I can’t commit for the whole time. Is that ok? A: YES! As a matter of fact, I expect that many of you will fizzle out once we start because it’s the nature of the beast. DO THE BEST YOU CAN…even if it means not doing the challenge in it’s entirity! You may start out at 4 days a week and realize that it’s not feasible and need to drop to 3. You may be a part of another bible study group and have no time to memorize another scripture. That’s ok. This challenge is built for you and is very flexible. There is no right or wrong!! Q: I’m not really “religious” or read my Bible much. Can I still do the physical part? A: Absolutely! I’d love to have you along with us. We are all at different parts in our lives both physically and spiritually so this is a great time to join a group who is growing together! Here are some things I want to recommend for you to work in in preparation for Monday! 1.) If you have a friend doing this with you, nail down how you will keep each other accountable. I’ve seen a lot of you saying that you will be doing this with friends and that is exactly the purpose! Erin, posted on my faceboook wall and said that she started a group in sparkpeople. What a great idea! Start a private facebook group, create one in sparkpeople, start an email group…whatever works for you! Take some time to analyze what works for your schedule. I will be providing a guided workout for you. REMEMBER: You don’t have to do MY WOROUT to be a part of this! 4.) I don’t talk about your diet in this challenge but…. …this plays a HUGE part in your journey. I want you to consider a few ways you can tighten up what you’ve been eating (or not eating!) I’ll be guiding you through some things as the challenge continues. I want to remind you of one thing…this is YOUR challenge. You can modify it however you need to and still participate. You only need to follow the rules I have (Exercise 4 times/week, Memorize a weekly verse) if you want entered for a chance to win the prize package!! Do you have any more questions? Please ask below! So to be entered i need to comment every day? Nope. Just once a week (Mondays). I’ll step you through that when the time comes, just keep updated and connected here! Ready to start tomorrow! Thank you! Me too! I’m excited – so need this @ age 62! I am on sparkspeople and would love to join the group that is doing this challenge. Can you post the name of the group that Erin formed? I tried to find it but they have many groups. Thanks, I am now part of the group. Just not sure now how to link my blog to your page. Maybe it is not possible unless you are part of Sparks? It’s possible without being a part of sparks. You would just fill in the link up section. The intro week is closed but you can fill out the post I put up on the 9th link up! Can’t wait to get started, I am doing this challenge with my daughter!! She lives in TN and I live in IN. I love it when we can find ways to do things together!! Did I mention that she is pregnant? I’m excited about this challenge! 3 of my friends will be joining me. Thanks for your blog! Will we be commenting on this site or can we comment on your Facebook page? I would prefer the comment to be on the site. Will step you through this when the day comes for that!! Great, I’m excited to start! Thanks! Just what I need at this time. so excited for another twist on workingout! I am so excited! I just emailed two of my best friends about starting this with me next week:-) Getting my calendar out to work out my schedule now. How awesome to combine our spiritual health with that of our bodies. Looking forward to nourishing my soul and my body at the same time! I am in for it and I hope I stick to it. I have 2 small kids at home and an older son who is here part of the time. I have a blog but don’t know how to link things to it so I will just check in. Thanks for doing this as I have weight that I need to lose. I was just telling myself that Monday was the day so this is perfect! Time to dejunk the pantry and break out the work-out clothes! Basement here I come! Thanks! Thinking 5 weeks sound very doable – and a hopefully I will be used to the routine then so I can keep it up. The best time for me is first thing in the morning and I’m definitely not an early riser. Prayers that I can get up and get moving! Any hints from anyone? I don’t have a bologna and I can’t seem to finish the signup without a web link. Help! I can also offer a massage for a prize if you are interested. Count me in! Glad it starts next Monday as I am not home and in a routine this week! I am looking forward to a new challenge for fall. I am all in for the challenge. Thanks for offering it! I’m looking forward to this!!! Can’t wait for this really looking forward to it! Thanks for answering all those questions. You rock girl! Thinking I might like a go of it. I am so excited & thankful that you are doing this. I deal with so many folks that are in such poor health simply because of their lifestyle. I do not want this for me or my family. I am going to try to get my hubby involved. Thanks!! I am IN! This is exactly what I need right now, perfect timing. Looking forward to Monday! I’m in and committed. In fact, I already started. Been walking and playing tennis and eating very well. Thanks for the motivation! Okay I am going to give it a try. Count me in. Can’t wait to get started–love that scripture memorization is included! I want to try this! I need the accountability bad, I am doing a Bible study, it’s the exercising I am struggling with and I have signed up for my 2nd half marathon in Oct, EEEEKK!! I have never used exercise bands before. Going to shop tomorrow–what exactly am I looking for? They need to be at least 5 foot in length. I prefer no handles because of some of the ways we use them (you can get handled ones, but you also will want some without) As far as resistance, that will depend on your strength! Thank you! I’ll see what I can find. I’m looking forward to this! I am so excited for this challenge! I just had my first child exactly a month ago and can’t wait to have a fitness routine again! I just started a blot & linked it up. How do I put your button on my site? You can just right click on the image, save it and then insert it as a picture. If you want to add the link, http://www.peak313.com, behind it that would be great too! I am thinking of doing this challenge with my husband and kids. My kids are 15 and 10. Is this a good challenge to do with my family? Great idea! i think it will be! Will you choose to workout together as a family, or will they be doing some of the workouts on their own? Ok, good!!! I’m excited!! I’m not sure about the work out part. I’m not sure that we can find the time to work out together 4 days a week but maybe since my kids are pretty active with sports we can do separate works and then one of the four days work out together as a family. Any ideas on how my family and I might do the accountability part of the challenge? You could make some sort of a chart to keep on your fridge and each of you check off your weekly workouts. Then have maybe 1 or 2 nights a week where you say the memory verse to each other?? Great idea, thanks!!!! I’m so excited this is what I’ve been looking for. I’m in for the challenge – I had difficulty with the online form but please include me! I’m subscribed to Emeals- (http://emeals.com/amember/go.php?r=353880&i=l1) and my husband and I were following the regular family meal plan, but to prepare for this challenge they have an amazing Clean Eating Plan, and several others for healthier eating. It does all your meals, lists, etc. and the Clean Eating plan look amazing! I can’t wait to start next week! Out of shape mentally and physically. Just the challenge I need!!! I’m in!!! I am in! This is just what i need to get started. Once i start I can keep going. Thankyou so much for this. Don’t know why its so hard to just do it. Excited! If we receive your emails, are we automatically signed up for this? Thank you so much! I’m definitely in!! Just right click and “save as” the image, then upload it as an image with a link to http://www.peak313.com! I wanted to make one before it started but it got pushed to the end of the list. Will try and work on that tomorrow! I love your blog and am excited to join in this challenge!!! I’m in! Excited for Monday! I’m in!!! And looking forward to it!!! Thanks!!! I’m so in! I need motivation to get back on the wagon. I exercised and watched what I ate all through the spring and beginning of summer, and then I just got distracted and gave up. Needing accountability! 🙂 Thanks! I’m in for the challenge! So excited to get started. So glad I found you through a friend pinning it. So excited and ready for tomorrow! This is a blessing to me! Thank you so much for doing this for all of us. May God continue to bless you! I’m in!! I need this whole accountability thing! i’m totally in and have a few friends doing it too-but forgot to link up and lokos like the “linky” is closed from the previous post-can i still do it? Hi Rachel! Yes you can…not necessary to sign up on the linky. Just next Monday for our first checkpoint. I’ll have more details then! I need some help please. I never had to figure out a workout calendar before and I was just wondering how to set this up. Your workouts 1, 2, 3 and 4 do I do them every other day? I’m so sorry for asking a silly question but I really do need the help. I thought about working out Mondays, Wednesdays, Fridays and Saturdays with each day doing one of your workouts. Is that good? Im ready lets get started!! Woohoo!! I am really excited about this challenge. I’ve been looking for something exactly like this. Began with a 30 minute power walk yesterday. I never got an email, are they supposed to come on mondays or just any time during the week? They come when a blog post publishes. Did you get one yet? If not, maybe you didn’t confirm the email subscription. Check your spam folder. I just joined your challenge! I am excited to get back to a healthy exercise routine! THX!! And God bless you!! 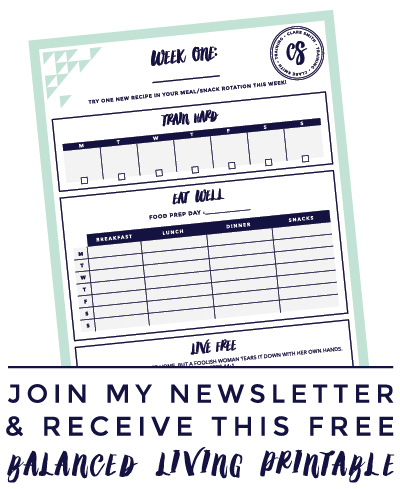 Can’t remember if I signed in here, but I’m loving this accountability and challenge! I’ve gotten exercise two time this week already and I’m really more aware of the food I’m eating! Thank you! Thank you for offering this! This challenge is just the little “kick” I needed to get me exercising again this fall. I’ve been out of town and so I’m starting today. I’m doing this with my daughter and my husband is cheering us on. Thanks again! This is exciting! I needed something to jump in and get me motivated. I’m doing this with my mom. Let’s get started. Will you be starting this over? I just found you and would like to start from beginning. Hi there! I am sure I’ll do another challenge in the future, but not sure when! Keep updated via facebook, twitter or emails to stay in the loop as to when! Count me in. Thanks for doing this. Wow what timing!! Our preacher was just discussing yesterday how we all need to get in our Bibles & study for ourselves…this is a great way to lead into a better Bible study for me…I am in on all accounts and look forward to learning with everyone. I am wanting to start the new challenge but dont have a blog myself. How do I enter my name into the challenge or where? I really need some accountability, so this is well-timed. Excited for the next five weeks!